Shannon Sproule (Shannon Ocean) says he was inspired by Petman and other mildly cute, yet creepy bipedal robots. Normally you would see this sort of build with a near-future military vibe, and that just makes me appreciate the M-Tron theme all the more. 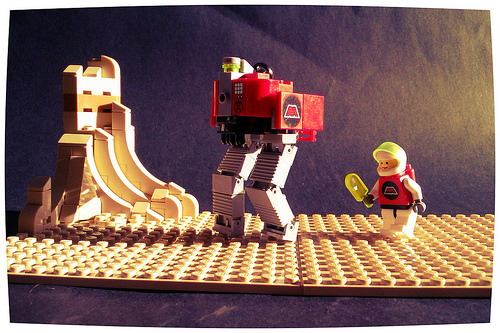 …because even the most adventurous space explorer deserves to have his hands free to enjoy an official M-Tron icy pole.